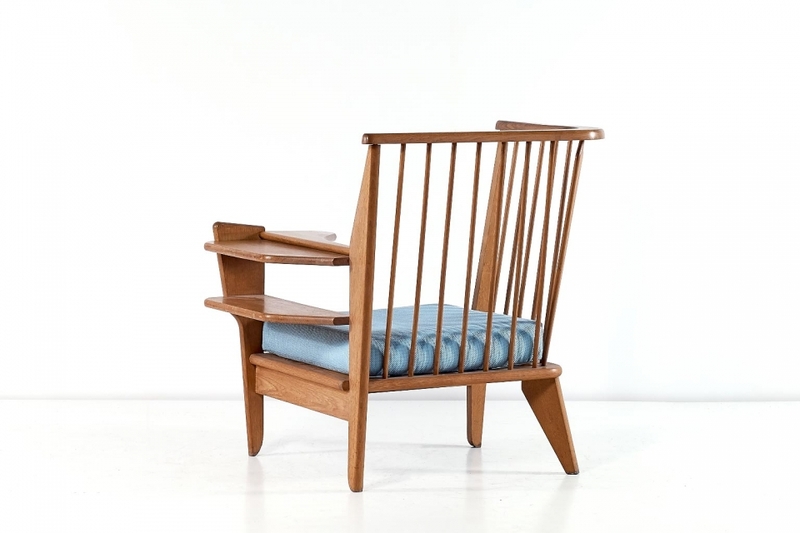 A rare and unusual corner chair in solid oak designed by Robert Guillerme and Jacques Chambron in the 1960s. This inventive chair with a single armrest offers remarkable details such as the sculpturally formed legs, the wooden slats on the side and back rest and a clever two-tier, extendable armrest. Due to its high back the chair could also function as a very comfortable lounge chair. One of the most original examples of Guillerme et Chambron’s armchair designs for the French Votre Maison collection.